We are recruiting for an exciting position working for MS as an Employment Development Consultant within the Disability Employment Service Employment Support Service. The main purpose of this position is to support participants diagnosed with Multiple Sclerosis to secure their chosen employment in the open labour market. In this role you will be responsible for the provision of high quality support to clients with MS in accordance with the Disability Employment Service Deed and MS policies, procedures and program business rules. You will provide tailored individual support to a person(s) diagnosed with MS who are wanting to work and develop strong relationships with participants, employers, industry groups and community support providers. Ideally you will have previous experience working in the Disability Employment Service (DES) or Job Active Network / Recruitment industry or similar and be attuned to meeting targets and achieving prescribed KPI outcomes. 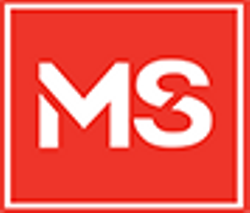 Multiple Sclerosis Limited (MS) is a Non-Profit organisation, and a leading source of information, advice and services for individuals living with multiple sclerosis. The main focus of the organisation is to help minimise the impact of multiple sclerosis on individual lives and provide ongoing support to ensure their journey is not undertaken alone. Get updates on latest Human Resources Jobs in Australia - Perth.